A Diesel Particulate Filter or a DPF is a device designed to remove diesel particulate matter or soot from the exhaust gas of a diesel engine. Diesel fuelled engines emit a range of exhaust gases including soot particles when burnt. 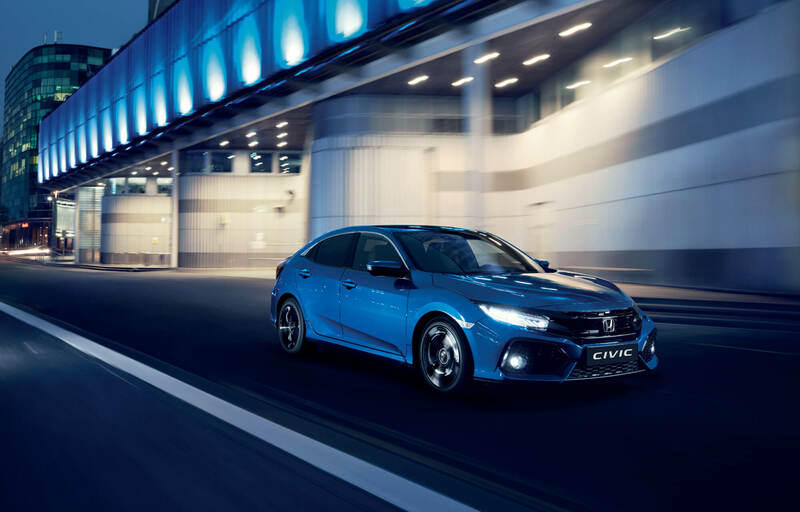 To reduce these emissions and comply with Emission Legislation which is becoming progressively more stringent Honda uses a DPF installed within the oxidation type catalytic converter. The oxidation catalyst reduces the pollutants from the exhaust gasses and the DPF system reduces the soot particles. The DPF process is called “Regeneration “where the accumulated soot is burnt off at high temperature. The level of particulate matter or soot is continually monitored by the engine management system and when the amount reaches a predetermined level the engine automatically goes to regeneration mode. This regeneration mode will happen frequently and automatically with little or no noticeable change in the driving characteristics of the vehicle. What should I do if I see the first stage warning light appear? If you see this warning light appear in means that your current driving conditions are not suitable for DPF Regeneration. This may be due to frequent short journeys or driving in heavy traffic conditions. In order to regenerate the DPF system you need to drive the vehicle at a speed of 60km/h or more until the warning light disappears. This may take 15 to 20 minutes in order for the exhaust temperature to rise sufficiently to allow the regeneration to take place. What should I do if I see the second stage warning light appear? If you see this warning light appear it means that the DPF system requires a "Forced Regeneration" and should be brought to an Authorised Honda Dealer who will do so using dedicated diagnostic equipment. Do not ignore the warning symbols as this may result in serious damage to the DPF and emission control system. Always use good quality diesel fuel to minimize the accumulation of particulate matter/soot in the exhaust system. Have your vehicle serviced at the required intervals. Use only Genuine Honda Green Diesel Engine Oil which is specially formulated for the Honda 1.6 diesel engine or alternatively engine oil meeting ACEA C2/C3 standard. This feature Prevents accidental misfuelling with petrol into a diesel fuel tank. What is the advantage or benefit of this feature? If the wrong pump nozzle is selected at the refuelling station the nozzle will be inhibited from access to the fuel tank of the vehicle. How long should the pump nozzle remain in the tank after refuelling and why? Wait for 10 seconds to avoid splash back. If you run out of fuel where would you find the refuelling adaptor (if using a jerry can)? Under the boot floor cover or in behind the side panel cover in the boot. Warns the driver of the possibility of running out of fuel. Prevents the dreaded inconvenience of running out of diesel. What is the first stage warning low fuel warning and when will it display? Stage 1: Normal yellow fuel warning light illuminates when the range on the Drivers display indicates 50km distance is remaining. What is the second stage warning and when will it start? Stage 2: When the range on the drivers display indicates 0km remaining the fuel Tortoise appears, and the engine rpm is restricted to 2000 rpm. What is the third stage warning and when will it start? Stage 3: When the remaining fuel is nearly empty the Tortoise flashes and rpm is further restricted to 1250 rpm. Are there any other benefits of this feature ? As diesel fuel is also a lubricant for within the fuel system it is important that the system is never allowed to run dry hence the reason for the Honda Diesel Run-Out Prevention system.